Nick Heidfeld will join Mahindra Racing alongside Bruno Senna for the 2015-2016 Formula E season. 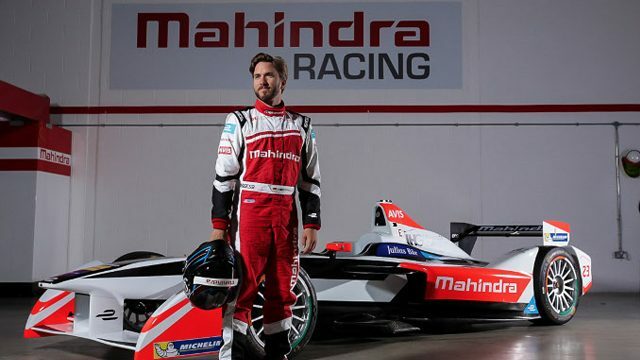 Heidfeld will drive Mahindra Racing’s second generation car, the M2Electro for the coming season of the all-electric racing series. Mahindra Racing, the only indian factory team to compete in the international motorcycle Grand Prix racing is set to begin the 2014 season in the Moto3 World Championship under the floodlight at the Losail International Circuit on the outskirts of the city of Doha in Qatar. Mahindra Racing, the only Indian manufacturer in International Grand Prix motorcycle racing created history at the Malaysian Grand Prix, Sepang when the rider Miguel Oliveira finished 3rd on the podium among 32 riders in the Moto3 World Championship. The all-new Mahindra MGP3O made a dream debut in the first race of the 2013 season, fighting for top positions in qualifying, and taking seventh and tenth places in an action-packed race.